How Many Calories Are in the Bananas? How Many Calories Are in Bananas? Bananas are one of the most largely consumed fruits on the earth. It is the fruit of the banana tree. It belongs to family Musaceae. According to United States Department of Agriculture (ERS’s loss-adjusted food availability data), It is one of the favorite fresh fruit of Americans. They consumed an average of 46.5 pounds of fresh fruit and 10.4 pounds bananas per person in the year of 2010.
the Scientific Name of banana is Musa Acuminata and Musa Balbisiana. The scientific names of most cultivated bananas are Musa acuminata, Musa balbisiana, and Musa × paradisiaca for the hybrid Musa acuminata × M. balbisiana, depending on their genomic constitution. The old scientific name Musa sapientum is no longer used. banana oatmeal bread, almond butter banana bread, vegan banana bread, banana snacking cake and Kona inn banana bread. Bananas are famous for their richest quality of potassium. According to United States Department of Agriculture, one medium size of banana has 422 mg potassium. Bananas are among the list of the richest sources of potassium. Potassium helps oxygen to get to your cell and also manages blood flow and hydration level in your body. High intake of potassium also decreases the rate of dying from other causes by 20%. It is a mineral electrolyte, which maintains electricity flowing throughout your body. Potassium is valuable in protecting against high blood pressure. It also reduces the threats for heart disease and strokes. Bananas have high levels of tryptophan. Our body converts tryptophan into serotonin, which enhances our mood. Serotonin protects against mood issues such as anxiety and depression. The study indicates that tryptophan performs a vital role in preserving memory and boosting your mood. Banana also contains vitamin B6, which can assist you to get better sleep, better sleep means better mood :). Banana is not the rich source of calcium, but it contains other important nutrients that require good bone health. According to a 2009 article in the Journal of Physiology and Biochemistry, bananas contain an abundance of fructooligosaccharides. These are nondigestive carbohydrates that encourage digestive-friendly priobotics and enhance the body’s ability to absorb calcium. One extra small banana has 72 calories. It has 3% Fat (0.27g), 92% Carbohydrates (18.5g), 5% protein (0.88g). 1 small banana has 90 calories. It has 3% Fat (0.33g), 92% Carbohydrates (23.07g), 5% protein (1.1g). One medium banana has 105 calories. It has 3% Fat (0.39g), 92% Carbohydrates (26.95g), 5% protein (1.29g). 1 large banana has 121 calories. It has 3% Fat (0.45g), 92% Carbohydrates (31.06g), 5% protein (1.48g). 1 extra large banana has 135 calories. It has 3% Fat (0.5g), 92% Carbohydrates (34.72g), 5% protein (1.66g). 1 ounce of bananas has 25 calories. It has 3% Fat (0.09g), 92% Carbohydrates (6.48g), 5% protein (0.31g). 100 grams of bananas have 89 calories. It has 3% Fat (0.33g), 92% Carbohydrates (22.84g), 5% protein (1.09g). 1 NLEA serving of bananas has 112 calories. It has 3% Fat (0.42g), 92% Carbohydrates (28.78g), 5% protein (1.37g). 1 cup of sliced bananas has 134 calories. It has 3% Fat (0.5g), 92% Carbohydrates (34.26g), 5% protein (1.64g). 1 cup of mashed bananas has 200 calories. It has 3% Fat (0.74g), 92% Carbohydrates (51.39g), 5% protein (2.45g). How Much Calcium, Iron, Magnesium, Phosphorus, Potassium, Sodium, and Zinc Does a Banana Have? 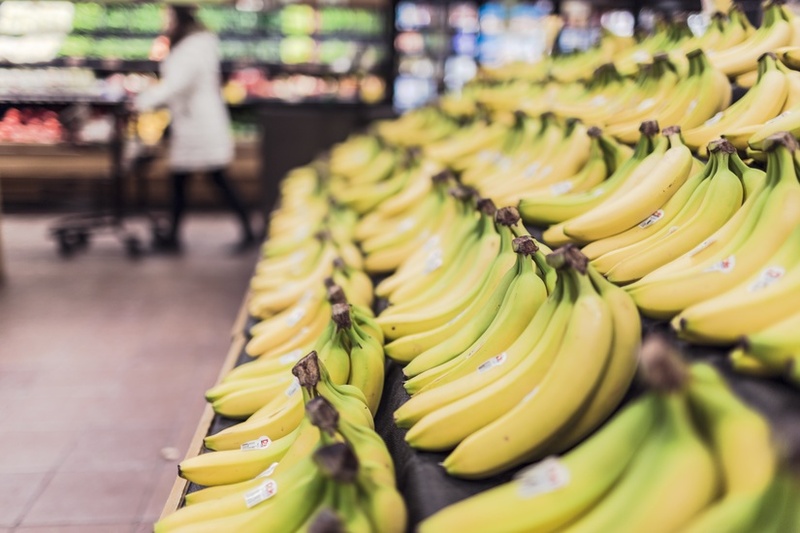 How Much Calcium, Iron, Magnesium, Phosphorus, Potassium, Sodium, and Zinc are in Bananas? Note: Folic acid or folate is a B vitamin. 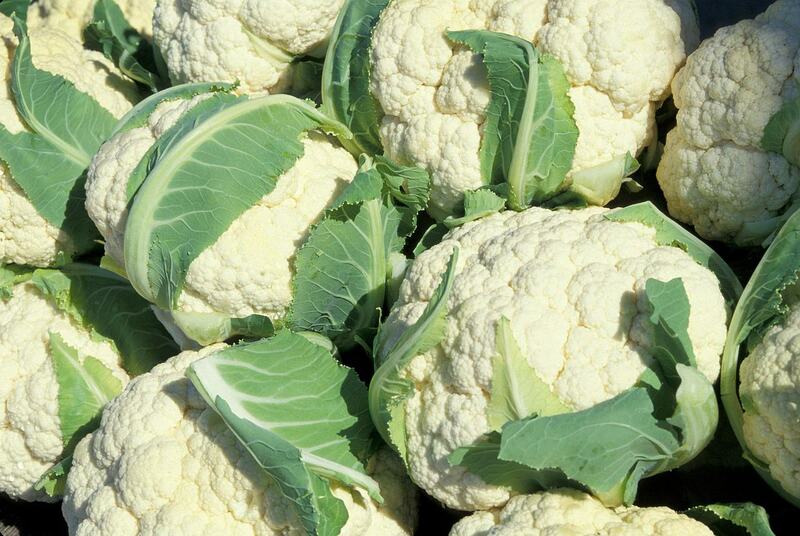 It has other different names including vitamin M, vitamin B₉, vitamin Bc, pteroyl-L-glutamic acid, and pteroyl-L-glutamate. 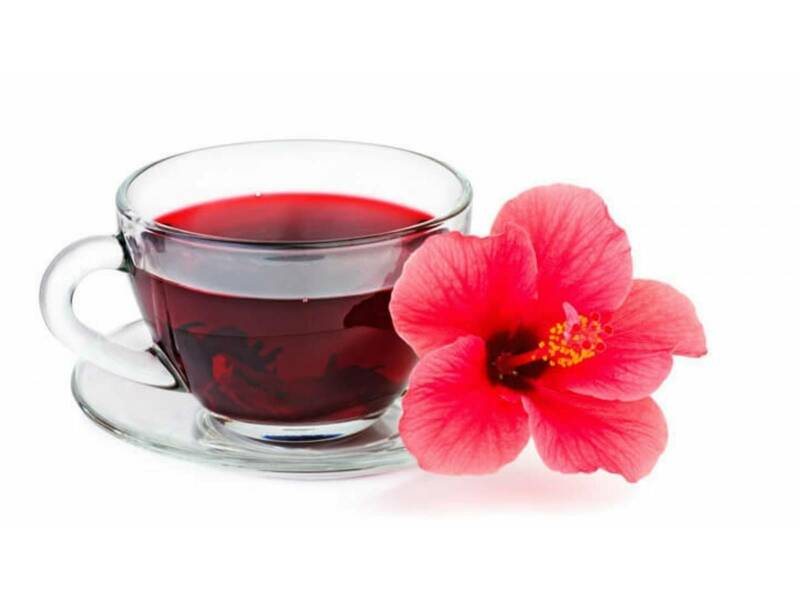 How Many Cups of Hibiscus Tea Should You Drink Per Day? 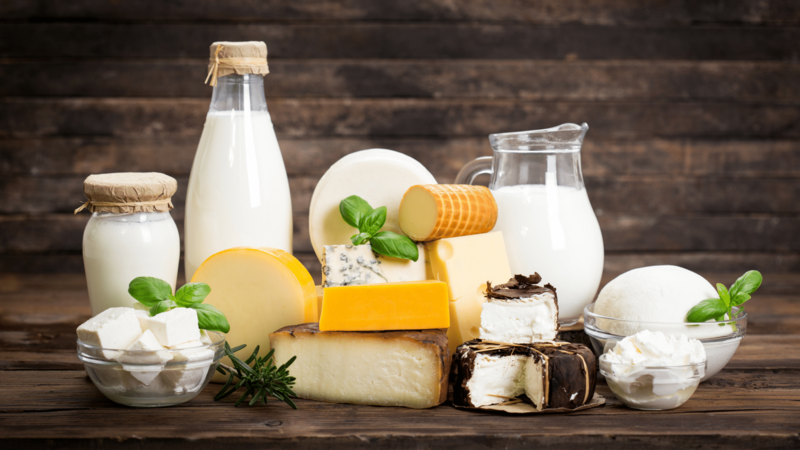 What Are The Different Types of Dairy Products? I eat bananas on daily basis to maintain weight . Thanks for bringing into eyes of public. Nice suggestions Shraddha. Glad you found the article helpful.